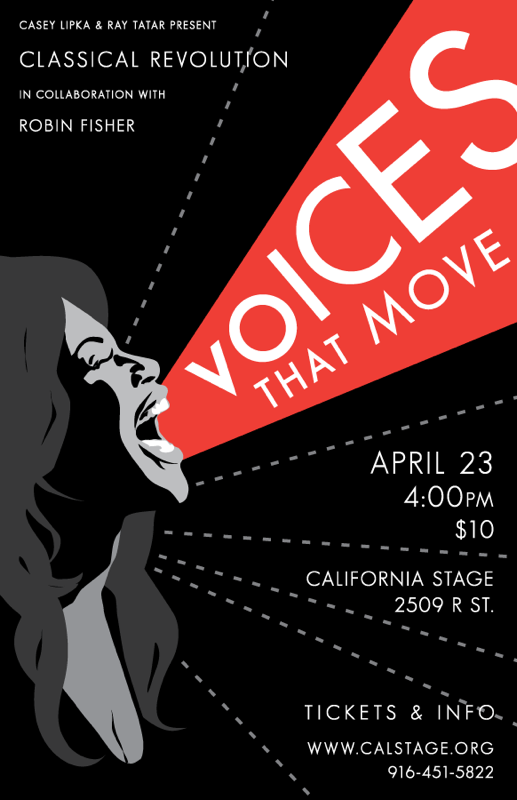 ‘Classical Revolution: Voices That Move,’ April 23rd! Join Casey Lipka and Robin Fisher for “Voices that Move.” An afternoon of soulful melodies, spoken word and dance collaborations woven into one seamless performance. Works by pianist Jacqui Hairston. Musicians from Classical Revolution Collective including clarinetist Brennen Milton. The event will happen April 23rd, at 4:00pm, at California Stage. Tickets are just $10. See Event Listing.